State-wide results of Kansas reading and math assessments were announced late last month. Due to significant changes in the assessment process in 2015, the reports tell a different kind of story than what we have been accustomed to with the former tests. “These tests are different from the types of tests students have taken in the past, and certainly different from what most parents (and grandparents) experienced. Instead of asking students to simply give answers based on acquired knowledge, the new tests ask students to apply that knowledge to new situations. These skills take time to acquire. The test format is different from what students have experienced in recent years. However, the most important thing to remember is the new tests are designed to be more challenging. 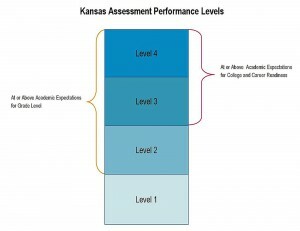 Kansas students have been taking state assessments for more than a decade. 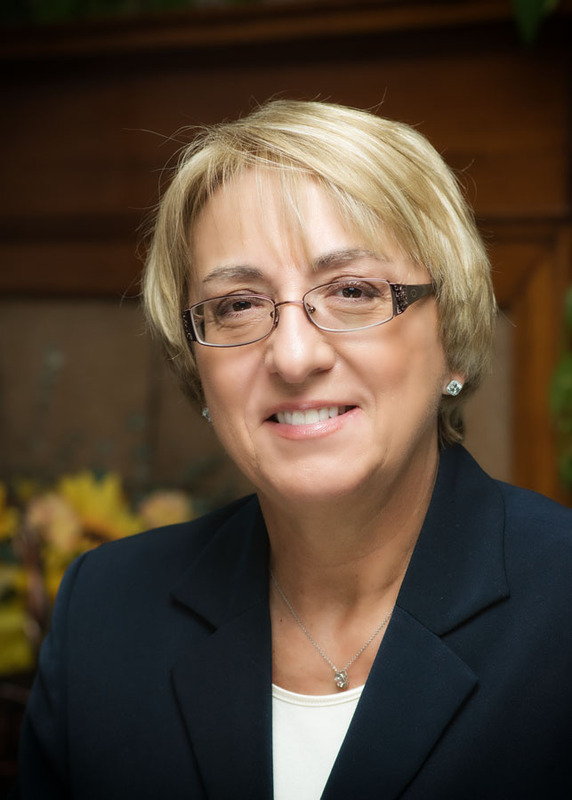 Over time, the tests were revised to align with changes in curricular expectations, but the results were reported in a similar fashion each year. Teachers and parents grew to understand the score reports and designed ways to use the results to improve student achievement. Everyone became focused on the goals of Adequate Yearly Progress (AYP) and 100 percent of students proficient in reading and math. Now we are in a paradigm shift; the new state assessments tell us a very different story. 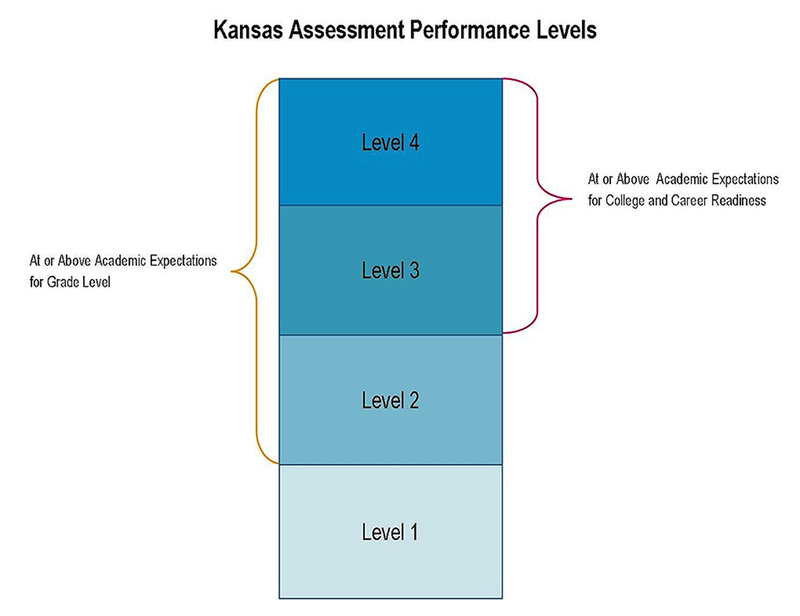 Kansas College and Career Ready Standards are more rigorous and the assessments are designed in a way that students must do more problem solving to find the answers. Previous tests asked all students the same set of questions and simply provided the percent each student answered correctly. The new computer-assisted, computer-generated tests adapt to the first set of responses to determine the next set of questions at an individual level of difficulty that acknowledges a student’s growth and depth of knowledge. Where once we were concerned with “minimum proficiency,” today’s assessments show evidence of each student’s unbounded progress on the college and career-ready path. The score reports look different too. Instead of the five familiar categories of proficiency, the new scores are simply reported at four levels of progress. Level 1 suggests that the student is performing below what would be expected at that grade level. Level 2 indicates that the student is currently performing on grade level but may be on a path that will require additional remediation, training or support to find success in college or career endeavors. Level 3 shows evidence of steady progress toward college and career expectations and Level 4 is the highest level of academic readiness. Individual student results are just being released and will be distributed to all parents during parent-teacher conferences in two weeks. School and district-wide results will be released in December when the Kansas State Board of Education publishes the annual “report card” for all Kansas schools and districts. Like other districts in Kansas, we have come to expect more students scoring in the top category each year. Because of the higher standards and the adaptive nature of the tests, we should anticipate fewer students at the top than we experienced with the old assessment. But in reality, it is not possible or appropriate to compare the “percent correct score” with the “scaled score” report. The bar is much higher than what was expected under AYP. The new tests are designed to give parents, students and educators a better and earlier measure of student progress on these tougher standards. The 20th century job market demanded a college degree for about one-third of our nation’s workforce. By 2020, it is projected that over two-thirds of the jobs in the United States will require some type of postsecondary education: technical training or college degree. That is a dramatic shift that challenges our teachers and our youth. Currently, too many students fail to see the long-range impact of the choices available to them. Far too many assume that all paths lead from a diploma; today, that alone is not good enough! The new assessments are designed to help us identify, monitor and support student growth and progress on a college and career-ready path. We will all see the new reports for the first time over the next few months. You will hear more about them as we begin to analyze the scores and capitalize on what we learn from this uniquely innovative approach to student growth. We invite you to ask questions as we all learn about them together.